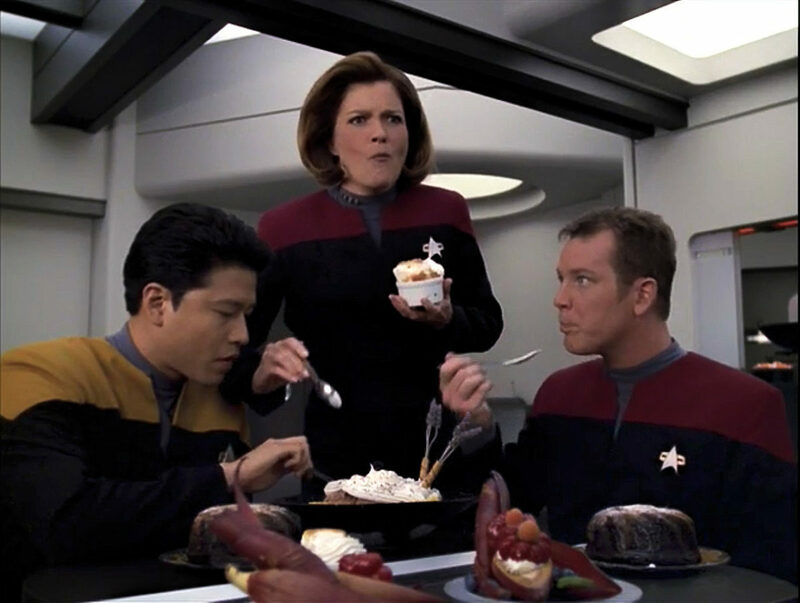 The dessert scene from “Riddles.” I love the way Janeway kind of falls on Harry’s shoulder in reaction to taking a bite of Tuvok’s creation. Garrett says he and Robbie McNeill used to play a game where they threw their combadges at each other, trying to get them to stick. (They were attached to the uniforms with Velcro.) One day Kate Mulgrew joined in. She made one throw, and stuck the combadge on the first try. She then said “I’m the Captain,” and walked away.